This sink is crafted with timeless style and top-notch efficiency. Made by Kraus, it spruces up the look of any bathroom. Constructed out of sturdy ceramic, it maintains a stylish look through all kinds of everyday wear and tear. Complete your next home improvement project by installing this top-of-the-line sink in your bathroom. This under-mount ceramic vessel sink is part of Acri-tec's Neptune Ceramic Collection. Forged from a proprietary blend of clays, Acri-tec's ceramic sinks are cast to ensure exceptional strength as well as long term durability. All Acri-tec ceramic sinks are coated with a unique easy clean finish which not only helps to seal the sinks against bacteria and microbes and makes it exceptionally easy to wipe clean, but also provides a durable gloss finish. All Acri-tec Neptune basins include overflows and are CSA approved. 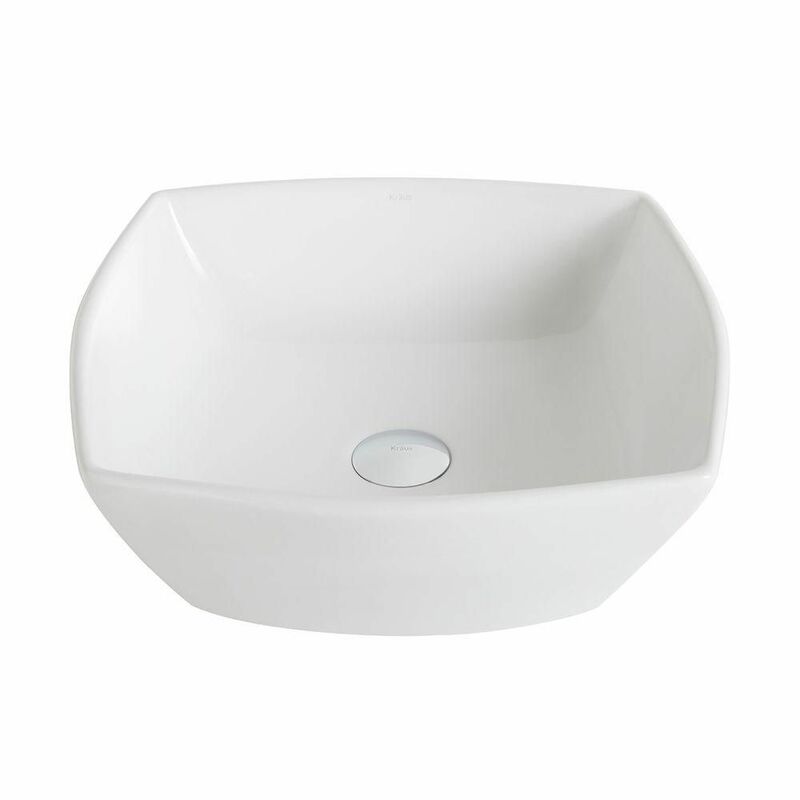 ElavoWhite 16.50-inch x 6.60-inch x 16.50-inch Square Ceramic Bathroom Sink This sink is crafted with timeless style and top-notch efficiency. Made by Kraus, it spruces up the look of any bathroom. Constructed out of sturdy ceramic, it maintains a stylish look through all kinds of everyday wear and tear. Complete your next home improvement project by installing this top-of-the-line sink in your bathroom. ElavoWhite 16.50-inch x 6.60-inch x 16.50-inch Square Ceramic Bathroom Sink is rated 4.7 out of 5 by 7. Rated 5 out of 5 by DecoratingDiva from Since we already had glass vessel sinks, replacing them with the Elavo vessel sinks was easy and ... Since we already had glass vessel sinks, replacing them with the Elavo vessel sinks was easy and quick. They are a little bigger than I expected but look nice. Rated 5 out of 5 by sylviel from solid quality, great looking sink we ordered two vessel sinks for a future renovation project. these sinks appear to be solid and good quality. Fortunately there were no issues with shipping and they arrived in pristine condition. Looking forward to starting our new project and installing these sinks.